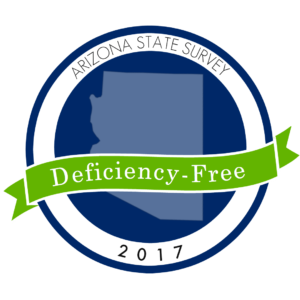 Avista Senior Living (“Avista”) is proud to announce that each of its five Arizona communities has received a deficiency-free survey from the Arizona Department of Health Services (“DHS”). 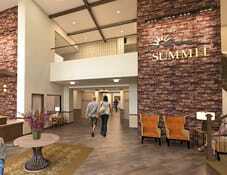 DHS visits assisted living communities at least once every 15 months to conduct a thorough and unannounced inspection. The DHS survey includes a review of such things as resident quality of care, dietary services, fire safety compliance, medical record keeping procedures, employee files, social and recreational activities, and more. The survey process typically includes interviews with staff, residents, and resident family members. Receiving a deficiency-free rating is the best possible outcome of the survey, and is an indicator of a community’s dedication to provide a quality environment for residents and staff. Visit our Arizona and Utah community pages to find a community near you.